From Forbes to Fortune, every business expert would likely agree in the truth of this title. When a company is trusted, repeat business is far easier to obtain, the word-of-mouth is positive and free, and that trust adds to the solid foundation of its brand. The methods of developing and maintaining trust in a company can sometimes be simple or seem obvious – yet why do many companies have such a hard time in this area? 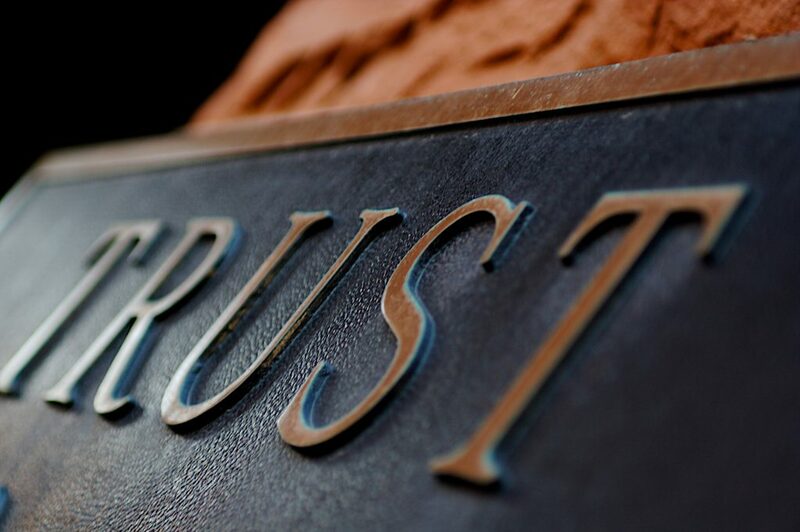 They are either ignoring these basic principles or unaware of them – either way, they are not being practiced, so no concept is too obvious not to continually remind ourselves what building trust entails. This may seem like a no-brainer, but it entails more than telling the truth. Honesty involves never insinuating that your company can provide a product or service at a certain time or for a specific price IF you are not 100% that you can deliver. Basically, under-promise and over-deliver. Honesty also has to do with being genuine in character. Sure, you can laugh at a client’s bad joke, but when you travel too far down that road of being disingenuous, people can sense it. I have seen many very smart people whose flaw was that they didn’t think others could see through their artificial behavior. People can sense it — don’t doubt that for a second. Honesty is a huge trust-builder and you have succeeded when people take you at your word without a second thought, something one should not take for granted. One would be mistaken to think that sales skills begin with your ability to pitch your services or wares – it actually begins by listening. People like to be heard – they need to be heard. The entire practice of psychology and therapy is built upon this fact. Therefore, truly listening to a client is a skill that is invaluable. Be open to listening to their problems, and further, repeat what they have said in a concise way, proving that you have not only heard them, but that you completely understand their needs. These concepts are almost synonymous and are really built through action. People often miss the bygone era when a person’s word was his or her bond. In every decision you make, remind yourself that you (and by extension, your company) is only as good as your word, so never compromise, even if the short-term benefits of changing a deal seem lucrative – whatever you would gain will never be worth what you have to give up: trust. As human beings, we all make mistakes, and no company can operate without occasional errors, no matter how careful you are to avoid them. The first step is to acknowledge that mistake to a client in a very genuine way – no partially blaming the client, no excuses, just the open admission that you or your company has made a mistake. Clearly, the next step is to repair the damage, even beyond their satisfaction if possible. We all know how much more time and money is spent trying to garner a new customer as opposed to keeping a current client. Although slightly tarnished perhaps, that bond of trust can remain intact. Regardless if you run a Fortune 500 company or a small sewing business, the above principles and qualities are always valuable, but often forgotten. Here at Entek, we are proud of our reputation as the premier HVAC service in Southwest Washington. Our many decades of doing business here is not by luck, but by following the principles of building trust with our clients, not just through our uncompromising standards of workmanship, but also through honesty and integrity, openness and understanding, and reliability. We never take for granted the trust our clients have in us and our HVAC service, and we will continue to practice these principles. It has been a valuable commitment for us and it can work for your company as well. Entek has trusted experts serving Southwest Washington and the Portland area. For Your HVAC Service needs!